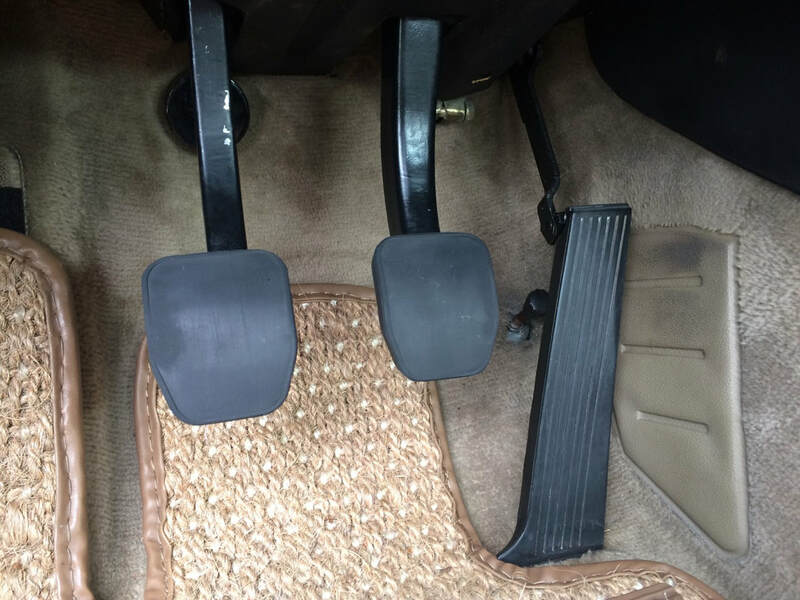 We got tired of our feet slipping off the stock pedal pads in our E30's and designed an grippier alternative. Permanent aluminum racing pedals exist, but are costly, do not look stock and require drilling holes in your pedals. We wanted slip on pads with improved traction, grip and looks. What's wrong with stock pads? Stock BMW pads are fine for general use, but like everything else are designed for the general driver under a wide range of daily driving scenarios including dirty and snow covered shoes. Just like the steering wheel & shifter, the pedals are the primary input sources for your driving experience. Get more touch, control and fun with better contact to your inputs. Why is surface area good? In the summer, or for sport and racing vehicles, the hatch pattern is just giving away contact area. Just like how racing tires & slicks provide the ultimate grip on the track, these provide the maximum surface area to grip the soles of your shoes. 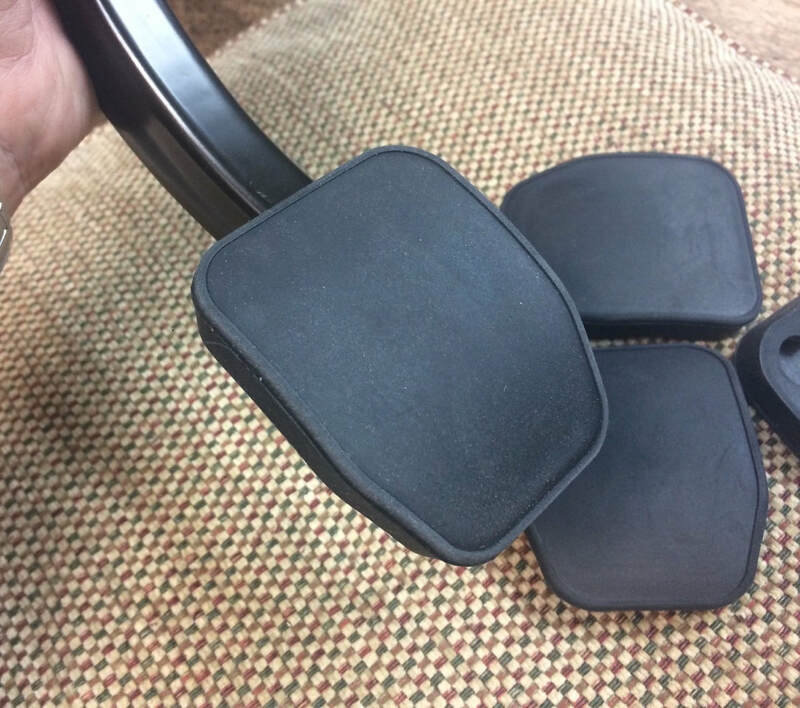 Our pads are custom moulded from 100% natural rubber designed to a custom hardness. The contact surface is then mechanically abraded to increase micro surface area. They have both more grip & suppleness than stock pads. We use natural rubber because it grips better and has more cushion than any of the synthetic rubbers on the market (PVC, PER, TPE, EVA). It is also better for the environment. For regular maintenance, wipe your pedals with a damp cloth. If you desire a deeper clean, remove and wash with a simple solution of 3 parts water: 1 part white vinegar. Rinse the pedals well with hot water and dry completely before reinstallation. 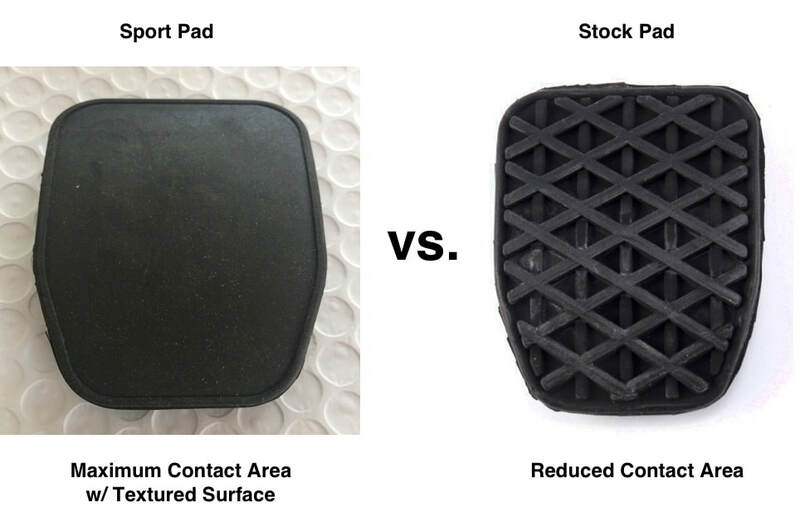 More surface area compared to stock pads.